I used to create origami animals and objects many years ago, and still have a few of them, like this goose. It's amazing what can be created just by folding a bit of paper. 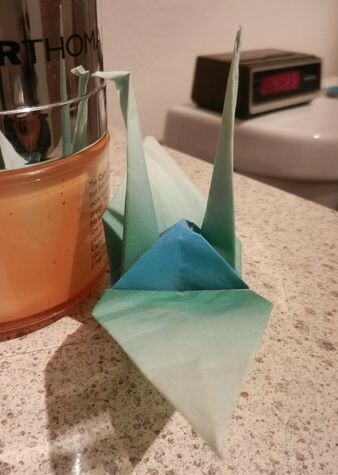 My brother did origami, but I never had the patience for it. It's quite satisfying to see the final object take shape. I've only retained the memory of how to fold about three figures over the years, but still enjoy them from time to time.